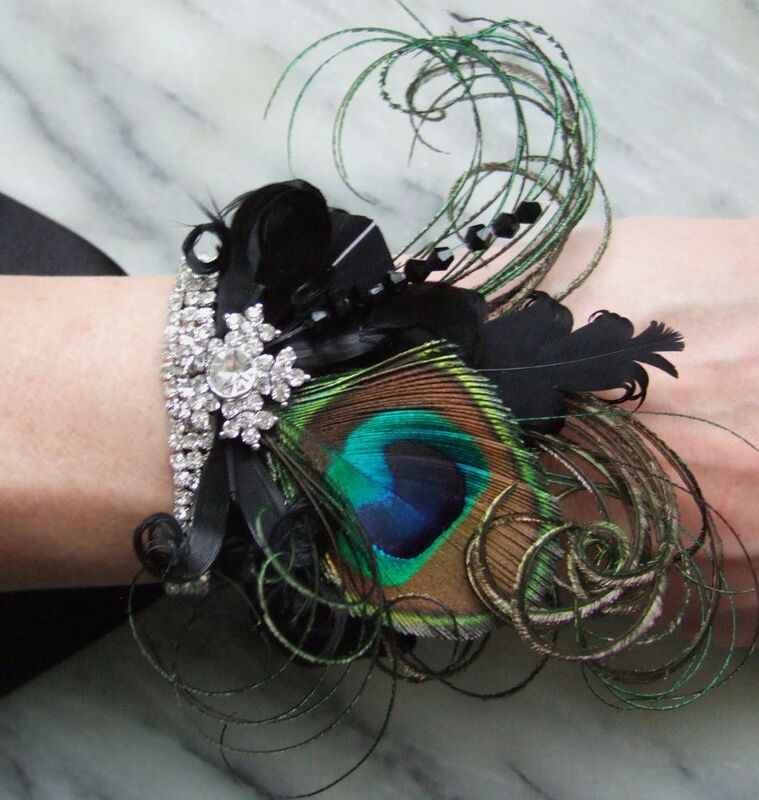 "Loved this piece for my Mardi Gras ball. Thank you for being so lovely and ensuring I would be happy by adding in the "Mardi Gras" colours!" Beautiful Hand Made A Beautiful Hand Made Bridal Wedding Wrist Corsage Bracelet called "Cally", in Black Curled Goose Nagoire and Peacock Feathers, with a Three Row Crystal Chain at Base, Crystal Bead Spray and Crystal Cluster centre. Made to order in 5 working days. 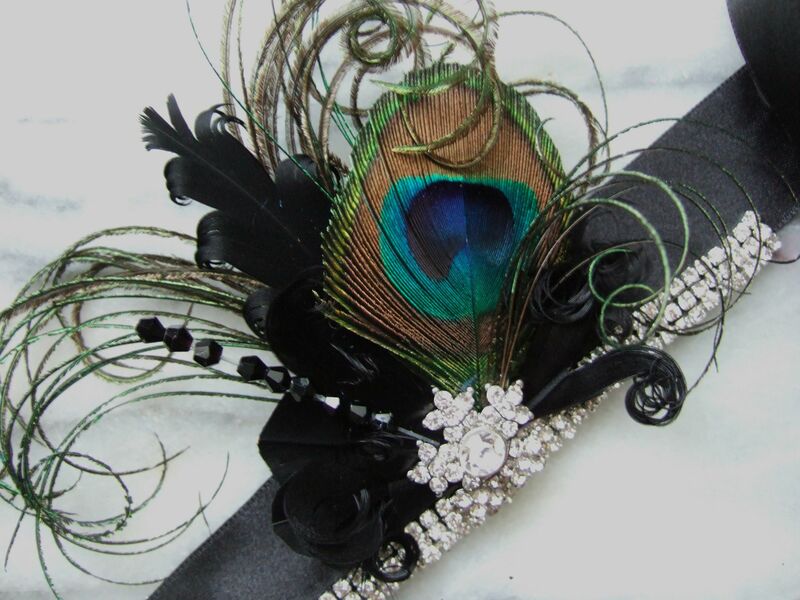 Sewn on a 1" wide Bridal Satin Ribbon in Black (can make on different colour by request). Supplied on long ribbon for you to tie in a bow. It is made long enough to tie around large wrists, and if you are a smaller wrist you can simply snip the ends shorter. Really Pretty for those wearing Gatsby, Art Deco, 1920's Flapper inspired outfits, and is a perfect match for the Cally Flapper headband (see the related items link). 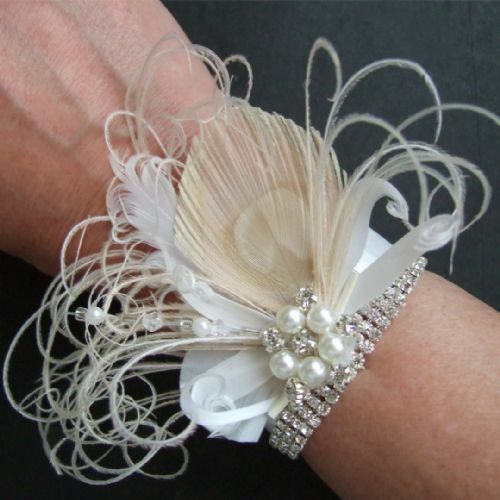 Suitable for Bridesmaids, and Brides (or other parties and proms). 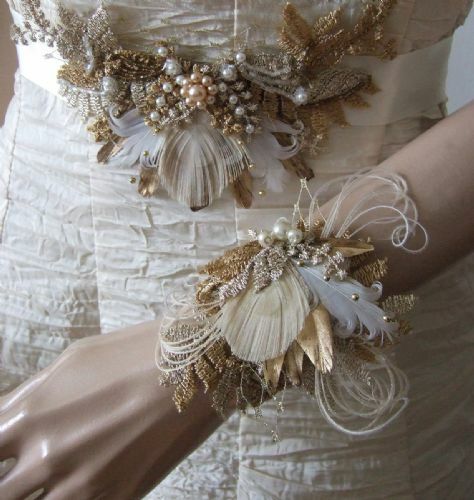 Also a perfect fit for Boho or Shabby Chic Cottage Wedding Theme. Made to order in 5 working days. 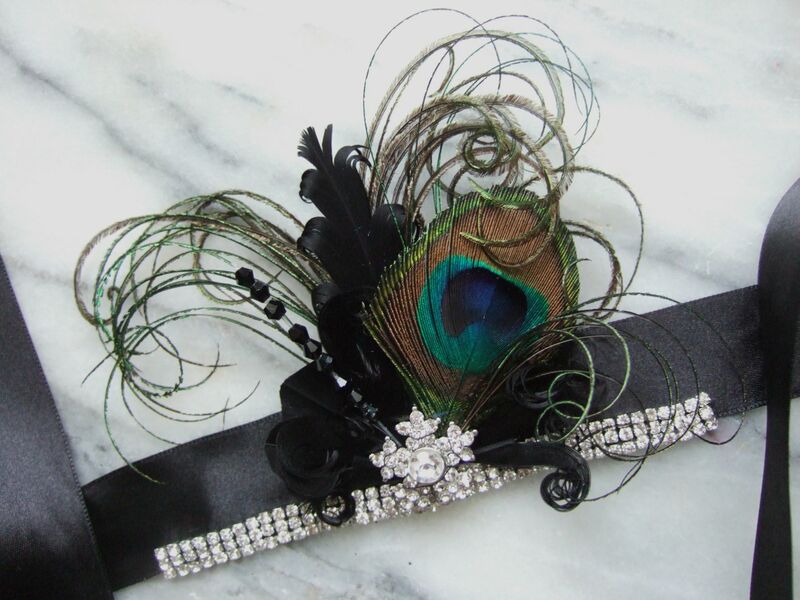 The measurements of the Feather Arrangment is 4" (10cm) x 3" (7.5cm), including all the pretty whispy bits. 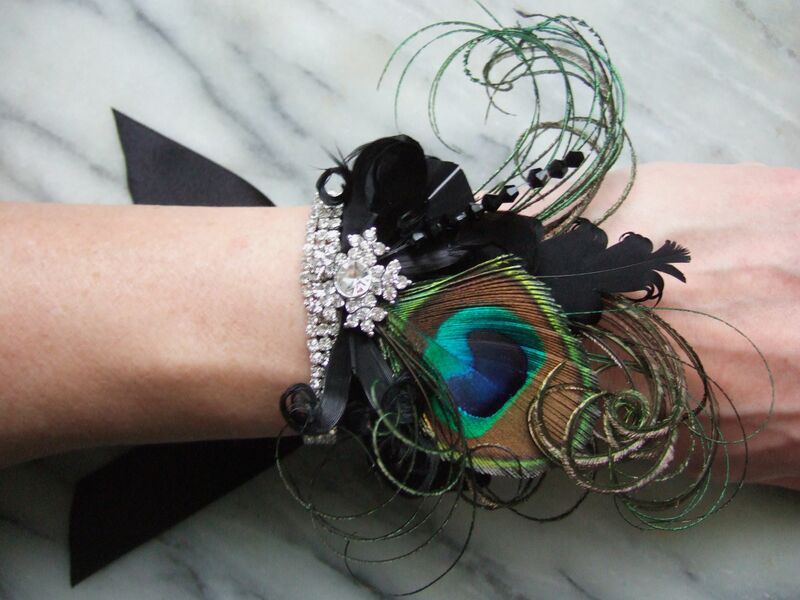 Please be aware that the corsage is made to order, so please allow up to 5 working days before item is despatched.